I have good news for you: you can claim your free Windows 10 upgrade now (or by July 29) and keep on running your familiar old Windows version indefinitely. This is not a trick, or a hack, or anything illegal. It’s a feature built into the Windows 10 upgrade process by Microsoft, who obviously doesn’t want to draw a lot of attention to it. First, make sure your current copy of Windows is genuine and activated. Open Control Panel and navigate to System and Security > System. Near the bottom of the page is the Activation section. You should see “Windows is activated,” your Product ID below it, and the Genuine Microsoft Software logo over to the right. If so, then you have a genuine copy of Windows and are qualified for a free upgrade to Windows 10. If not, you will have to buy a copy of Windows 10 when you want it. Next, go ahead and upgrade to Windows 10. You can use the Get Windows 10 tool provided by Microsoft on this page. During the Windows 10 upgrade process, your old version’s activation status and Product ID will be checked and stored on Microsoft’s activation server. A “digital entitlement” license key for your new Windows 10 upgrade will be generated and stored on the activation server, too. In some (hopefully rare) cases, the upgrade to Windows 10 or or the rollback process may fail. So I recommend that you make a full image backup of your old Windows 7 or 8 system BEFORE doing the upgrade to Windows 10. If anything goes wrong, you can restore from the backup, and your computer will be exactly as it was. After Windows 10 is installed, open the Start menu and navigate to Settings > Update & security > Activation. Instead of seeing your Product ID on this page, you will see a reference to the Windows 10 digital entitlement. You no longer need to know a Product ID! Microsoft safely stored all the information about your hardware system, old Windows version, and new Windows 10 upgrade that is needed to install Windows 10. You can wipe your hard drive and do a clean installation of Windows 10, as many geeks prefer to do, using the Media Creation Tool to create a bootable CD or USB installation device. Once you have your free digital entitlement, it’s yours forever. Should anything corrupt your Windows 10 installation, you can re-install it using the Media Creation tool without any trouble; no Product ID required. You have 30 days from the time you install the Windows 10 upgrade to change your mind and go back to your previous version of Windows. Microsoft calls it “resetting” a PC. To reset your PC, open the Start menu and navigate to Settings > Update & security > Recovery. Go ahead and select “Go Back to Windows 7” or 8.1. That process will take less than 15 minutes, in most cases. Now you have your familiar old Windows version and a digital entitlement to a free Windows 10 upgrade. When you're good and ready, you can upgrade to Windows 10. You can even downgrade to your older version as many times as you wish, as long as you do so within 30 days after upgrading. Most recent comments on "[TIP] The Windows 10 Secret Microsoft Won't Tell You"
I think the auto activation functionality only works when it tries to upgrade win 7 / 8.1 to win 10. It may not work if you try a fresh install by first deleting win 7. A fresh install may work if you have first gone through an upgrade of win 7 / 8.1 prior to wiping the o/s ready for an fresh install. Hope that makes sense. The auto activation functionality needs to run so Microsoft servers have a record of the upgrade and the keys. Select the Start Start button icon button, then select Settings > Update & security > Activation. Do not try to upgrade to win10 from win7 on a Lenova machine and then try to go back to win7. It completely messed up going back and then would not do anything. Had to do a complete new install of win7. Will not buy another Lenova machine again. 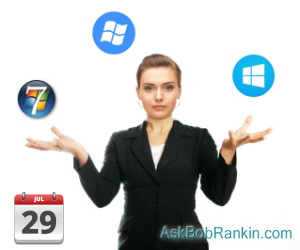 @bob, Yesterday I downgraded to win7 from win10 on my friend's Lenovo laptop. You mentioned Lenova. Did you mean Lenovo? Also, did you downgrade within 30 days of the upgrade? My downgrade went successfully; no problems. Thanks for raising this issue Bob. Like others I don't want Win 10 just yet. Do you know if I could swap my System drive (Win 8.1) with a spare drive and install Win 10 on it from a DVD and then swap back to my Win 8.1 drive. Then when I want Win 10 could I just swap drives again. "You can wipe your hard drive and do a clean installation of Windows 10, as many geeks prefer to do, using the Media Creation Tool to create a bootable CD or USB installation device." I say you have to be quite a knowledgeable geek to do a fresh install of Windows 10 from a bootable disc or USB device due to the nightmare that is Secure Boot! "Once you have your free digital entitlement, it’s yours forever. Should anything corrupt your Windows 10 installation, you can re-install it using the Media Creation tool without any trouble; no Product ID required. "Once you have your free digital entitlement, it’s yours forever. Should anything corrupt your Windows 10 installation, you can re-install it using the Media Creation tool without any trouble; no Product ID required." Does that remain true, even if users restore their computers back to factory settings? What I am doing or have done. Made an image backup of the windows 7 hard drive. Acquired another hard drive. Which I installed in the computer. Recovered the backed up image 7 to the new HD. Then upgraded the new drive to windows 10. To switch from one hard drive to the other, power down, transfer the data cable from one drive to the other, then reboot. 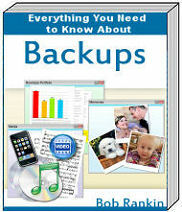 Items: (that you should already have) Backup software. (I use Easeus Todo), a backup recovery CD made from the software, a removable backup hard drive. Another hard drive for the computer. Using: I copy updated files to a flash drive and then copy to the other drive after rebooting. I can now work on a program, copy to flash, power down, move the data cable between hard drives, and reboot. I can go from windows 7 to windows 10 and then back to windows 7 in no more than the 3 minutes it takes to reboot the computer. Having your work on 2 drives is, also, an extra comfort factor. As a suggestion, make an image copy of the windows 10 upgrade right after installing all the MSt updates. Once a month I do image back ups of both windows 7 and windows 10. "Saved! Backing up with Macrium Reflect" (a FREE version of Macrium Image is available for download) by Leo A Notenboom. Available from Ask Leo website or directly from Amazon. Buy the print version then download a free digital copy using instructions in the book, not buying a Kindle version. It is very straight forward and very easy to follow, with screen shots accompanying the text. I am not a geek, but I found it simple to perform the image. Could you not simply download the .iso file from Microsoft, extract it to a DVD, put it away in a jam jar, and then use it to install windows 10 whenever you felt like it? That would save all the upgrading and then later downgrading business. It worked without a hitch. Updated 1 Desktop using this procedure, and now have a Laptop to update. Unless you have a multi-user license for Win 7, you are violating the EULA. When you upgraded one drive from Win 7 to Win 10, your license was transferred to the new OS. Having a second copy of Win 7 using the same license is illegal. It is the same as using one license on multiple computers. So, beware - you never know who may be reading these posts (MS, FBI, NSA, or Snowden). The tragedy is that making an image is not always straightforward. When it is not, it's almost impossible for even a typical knowledgable user to know what to do. I have tried everything I can think of & used free Macrium & Easus tools to no avail. I think that if MS expect people to seriously consider risking their OS install, then they need to provide much better diagnostic & compatability review tools. Never in a Million,Trillion Years will I install Win 10! Even IF I can REVERSE IT!! NEVER! NEVER! NEVER! NEVER! NEVER! NEVER! I was one of those win 7 lovers and I kept putting off the upgrade until it "forced" me to upgrade and I kept postpone the upgrade then all of the sudden one day I powered up and it installed win 10 without my permission or knowledge! Regardless with all the hoopla about win 10 and 7. I was beginning to like win 10 with only one exception - I hated Edge browser, so used other browsers as its a LOT faster than edge! I cloned my hard drive on both computers and updated the clones to W10. My W8 PC runs W10 and its W8 drive is now a back up image of W10. My W7 PC clone drive was upgraded to W10 and it is set to dual drive. Once or twice a week i boot W10 and check for updates. I prefer W7 as it is easier to find and turn off M$ stuff (that i don't want or need) that they have on by default. I prefer a plain desk top to a fancy layout and backgroung pictures etc. Also some of my old programs and my scannor, etc don't work on W10. Windows 10 turns hard drives into bricks. Killed two laptops in the last month. So sick of Microsoft and the crap products. July 20, 2016: Dell says that they will ***not*** be updating drivers for my computer should I "go for" Windows 10. Thus, I am not even going to try to install Windows 10--even though Microsoft says "OK" to my getting Windows 10. If Dell's not going to give support, then I will simply stay with my Windows 7. A tad late in posting. Maybe some other poor soul will be in my position and will read this. July 22.. just days before deadline I took the plunge and installed W10 and it is not for me. ordering products and of course downloading videos of ?? You get the jist .. old person who grew up with a party line. Thank you for information on how to use (and save for later) this technology that I am being dragged "kicking and screaming" into. Back to Windows 7 I go. I thought you should know that if as I did, you upgraded to Windows 10 on the 28th July and now wish to roll it back, you can't! Microsoft have removed the facility to do so! EDITOR'S NOTE: That should not happen. There has been no change to the 30-day rollback policy, for people who upgraded to Win10 prior to July 29. I appreciate it shouldn't happen, and so far five Microsoft technicians have told me that it can't happen, but after 7.5 hours of them working on this problem they still haven't fixed it on my system. I think they may have now worked out a solution because I have been asked to call them again today so that they can remotely work on the problem ( they've been on on my system more than I have for the last two days ), so we shall wait and see what happens! I can't fault them on the amount of effort they are putting into fixing the problem but it seems to me they're technicians need more training.